Hiring seasonal retail staff can be a strategic move for growing retailers, allowing you to deliver a consistent level of customer service even during peak times. And it’s a popular tactic for retail businesses: The National Retail Federation (NRF) found that nearly one-third of retail workers are seasonal. When it comes to the busy season, there are differences in your approach to hiring and managing seasonal staff as compared to looking for permanent hires, whether they’re full- or part-time. Below, we explore the differences between temporary and permanent retail staff and how you can successfully hire, train and manage employees to contribute to your retail success. What is a seasonal retail sales associate? A seasonal retail sales associate is an employee who is only hired for a predetermined amount of time. According to the NRF study referenced above, these workers are employed for less than three months. This is a common practice in retail during busy periods, such as the winter holidays and back-to-school. What is a permanent retail sales associate? A permanent retail sales associate is hired indefinitely, and you, as the employer, must have a legitimate cause for termination. Permanent retail employees may stay with you longer and have a greater potential to advance within your company. The winter holiday season: Gift-giving leads to more customer demand for products. One NRF study concluded that holiday sales in 2017 increased more than 5% from the previous year. Back-to-school: Retailers who sell apparel and accessories, home goods and school supplies are just a few who run campaigns targeted to back-to-school shoppers, as these items are in high demand. Valentine’s Day: Stock up staff and flowers and chocolates if they’re in your product lines, as these are among the most popular gifts for this romantic holiday. Each type of business experiences different surge, so remember to consider which products you sell and how events and holidays will affect demand for that merchandise. From there, you can more accurately predict your staffing needs. Masterson says seasonal staff offers him flexibility in scheduling during high-volume times. You need more employees on the clock, and if you’ve maxed out your permanent staff, temporary hires can fill in the gaps and add an extra set of hands to meet the increased demand. Remember, your staff have lives and families outside of their job; expecting them to spend every holiday on the clock is unreasonable. Adding seasonal staff to the mix allows you the opportunity to require employees to sacrifice one holiday instead of all of them. “Seasonal staff are hired on a single-contract basis and require minimal training and investment in terms of education and management,” Masterson says. Of course, you’ll want to provide adequate training for them to perform in their role, but it’s less extensive than that of a permanent or full-time employee. While that may sound negative, it’s normal. Plus, your employees won’t be disappointed if they don’t receive advancement or development opportunities. “A good deal of employee satisfaction hinges on the opportunity for growth and advancement, and there often isn’t much room for advancement,” he says. Seasonal vs. permanent: What are the differences? The motivations for each type of job seeker are different, and thus, so is the ideal position. Whereas permanent employees may be looking at the long-term, bigger picture, seasonal hires are typically looking to make some fast cash to supplement another income stream. Be extra flexible in scheduling. “You really need to be flexible with who you’re willing to hire. You may need to hire more seasonal candidates that are able to work more flexible shifts — think of four-hour vs. eight-hour shifts,” she says. Consider a larger applicant pool. “You may want to cast an even wider net than usual when you’re recruiting,” Eberley says. “Hit high school and college students who are looking to make extra money during summer breaks or through the holidays, as well as retirees who may be looking to make supplemental income.” The NRF also found that seasonal staff skew younger than permanent retail employees. Accepting candidates with less experience who may need more direction and management is okay when it comes to your temporary hires. Think about advancement possibilities. Though career pathing isn’t the norm from seasonal roles, you’d do well not to rule it out. “You may also want to think about giving seasonal workers who are interested the first opportunity when a full-time role becomes available if they are interested,” she says. Retailer Bon-Ton hires between 10,000 and 13,000 seasonal employees annually and maintains a 40% retention rate, as many of those hires turn into long-term employees. And when it comes to hiring, retailers should post the openings sooner than later, especially if you’re in a larger city. Indeed found that major cities experience the biggest shortages in seasonal staff availability during the holiday season. Considering more applicants doesn’t mean you should lower your hiring standards. “Regardless of if you’re hiring full-time or seasonal employees, it remains incredibly important to have employees that are going to protect your brand and give great customers service,” Eberley says. Seasonal staff don’t get a pass from upholding the brand experience. Every new hire for your retail business should undergo some sort of training to familiarize them with your business and their role within it. However, the extent and content of that training may differ for permanent and temporary hires. Find Me A Gift hires both year-round and seasonal staff. HR manager Sarah Clegg notes the similarities in their onboarding process for each type of employee. “Both have our initial induction to go through policies, health and safety, etc.,” she notes. Permanent staff also undergo on-the-job training to get an in-depth feel for all of the operations of the business. “When it comes to on boarding our year round team, they spend time in each department so that they have a better understanding of the business,” Clegg says. “In an ideal world, it would be good to give [seasonal hires] an overview, as it would help them to understand how and why we face some of the challenges we do during our peak season and why they occur,” Clegg says. But when it comes to temporary hires, such thorough training isn’t always feasible. “We’re not able to do this with our seasonal staff, as we recruit them in such volume and at such a busy time of year that it’s just not practical,” she adds. Find Me A Gift managers take a more hands-on approach when it comes to seasonal staff. “Their understanding is much less than our year round team, so it can be very a much a ‘tell and do’ environment,” she says. 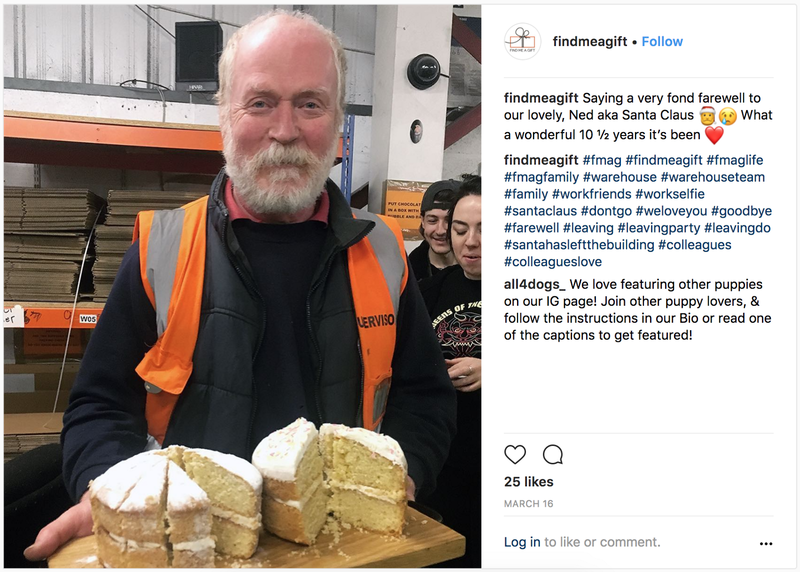 Find Me A Gift also gets their year round team more involved as part of their role, holding regular meetings and two-way discussions about company goals, how to achieve those goals and employee input.